The Calamian Tagbanwas are primarily located in the northern part of Palawan in the Calamian and Linapacan islands. 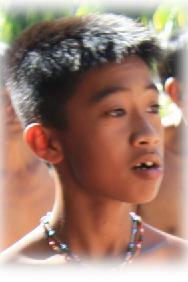 Interestingly, they do not belong to the Palawanic subgroup, but are directly classified under the Philippine subgroup. This subgroup is known as the Kalamian group, which includes the Agutaynon. Calamian Tagbanwas do not use of the Tagbanwa script. Though the languages of the Aborlan and Calamian Tagbanwa belong to different subgroups, their culture and practices are similar.